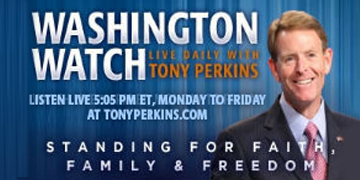 On Friday's edition of "Washington Watch with Tony Perkins" Washington Watch producer, Russ Jones, guest hosts for Tony. Former Cincinnati mayor and Ohio Secretary of State, FRC's Senior Fellow for Human Rights and Constitutional Governance Ken Blackwell joins our guest host with an overview of what to expect for Tuesday's midterm elections. Fox News contributor Deroy Murdock joins Russ to share his latest column in National Review which speculates what impact a “Blue Wave” might have on Capitol Hill. Also, FRC's Vice President of Policy Travis Weber is here to highlight International Day of Prayer for the Persecuted Church and the important role prayer has in supporting persecuted Christians.